Attention shoppers! We know the value of an independent, family-owned store. From April 12-14, make your way over to Quarryville, PA to shop at the historic Ferguson & Hassler supermarket. Ferguson & Hassler’s Spring Meat Sale features special deals on Kunzler meats and other products. The store also regularly posts recipes and offers coupons and specials. We’re proud to have Kunzler products on sale at this great local business. Jump for joy in Mount Joy, PA on April 12 from 11:00am-6:00pm for Darrenkamp’s Spring Food Festival! This festival features several Kunzler products. The event is definitely worth a trip to this local grocery store that is a true gem in Central PA. In southwestern Germany, there are forests of trees so thick and dense they often look black. The term “black forest”, which originates from this region, is now a flavor used in a variety of recipes and foods all over the world. 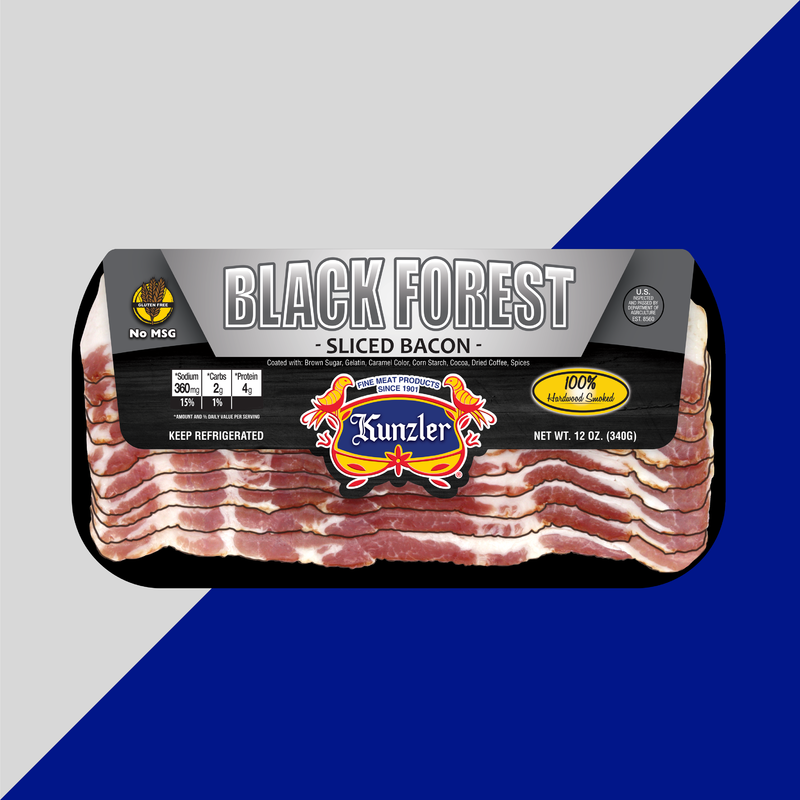 Coming this spring to Kunzler’s lineup is black forest bacon! Get ready for this rich, irresistible flavor to join our bacon products. Here’s a sneak peak of new items to come. In the meantime, check out our current products for sale.